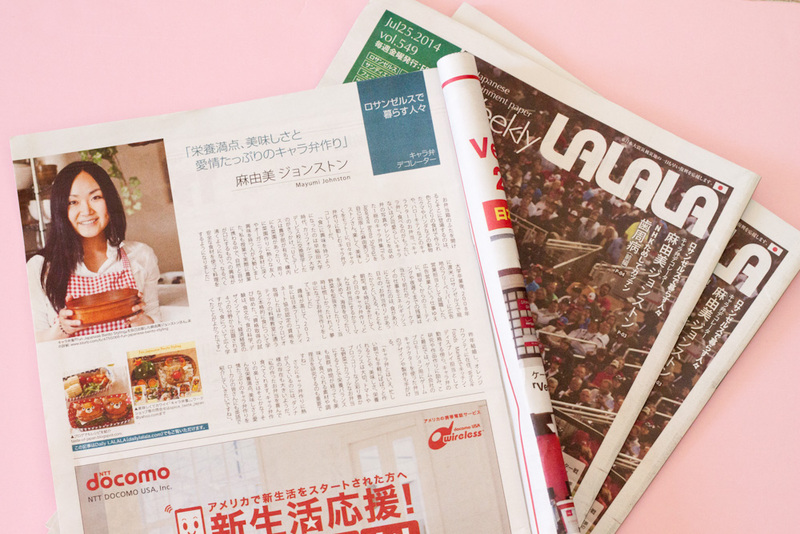 My interview article was published last week on a Japanese free paper, Weekly LALALA! It's distributed to Los Angeles, Orange County, Las Vegas, San Diego, Phoenix, San Jose, San Francisco, Texas, Denver and New Orleans. My husband's parents asked me to translate it into English, so here you go! "It brings smile to his face. That's one of the thing I like about character bento. I would like to do workshops for local people in English to spread Japanese bento culture"